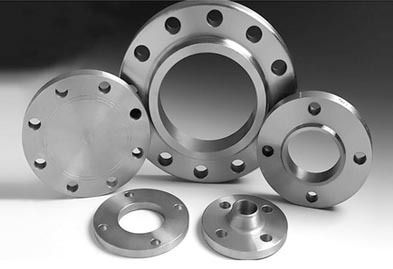 Jaydeep Steels is an approved manufacturer, supplier and exporter of the Monel Flanges to both national and international customers. We basically produce Monel Flanges that belong to grades like Monel 400, K500 etc. 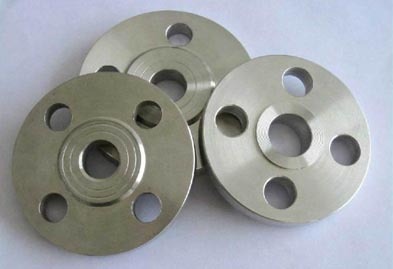 The Monel Pipe Flanges are produced with the help of best quality raw materials that offer various advantages like high strength with good toughness at high temperatures, good corrosion resistance, superior resistance to hydrofluoric acid, high resistance to seawater for marine applications, better longevity, and much more. Our Monel 400 and K500 are manufactured from a kind of Monel-copper alloy that can perform perfectly well even at wider temperature ranges. The obtaining of these flanges is done with the help of modern equipment, and the use of superior quality steel as the raw material. Their resistance to hydrofluoric acid, a widely known tough acid to deal with, is remarkably high. As a result of which these are commonly used in marine and chemical processing applications. Our huge inventory also contains various other available forms with us like Monel Slip on Flanges, Monel Blind Flanges, Monel Weld Neck Flanges, Monel Socket Weld Flanges, Monel Forged Flanges, Monel Lap Joint Flanges, etc. All these flanges are available in sizes and styles that will aptly fit your unique application. Ensuring the smooth manufacturing and exporting of our products, we have been making use of advanced machinery and technology, which helps us in meeting the ever-changing needs and requirements of our valued customers in a satisfying manner. Contact us today to request a free quote or send us your with your exact specification to serve you better. Jaydeep Steels stocks a wide range of materials and grades. Below is a list of all standard monel flanges materials and grades we stock. Our experienced team of metal experts will get you the metal you need when you need it. Call us today for your Monel Flanges Needs!